I don’t know what is wrong with me, but I feel bad for the US Postal Service. It’s kind of like an aging great aunt who, in her youth, thrived as a courtroom lawyer in all-male Atlanta, but now that she is older smokes three packs a day and insists that the Sears Towers is located in Skokie and not the Loop. I want to help the Postal Service, so here are some marketing tactics I am giving it for free. 2. Hot ‘N Ready Little Caesar’s Pizza is on to something. It caters to busy parents and poor college kids by having $5 pizzas at the ready for customers on the go. The Postal Service should have something like this, too: super cheap, super fast delivery. For a low, low fee, you could drop your parcel off at the Post Office and have it delivered by another postal patron who’s heading to the final destination of your package. They’d get a discount on their own mailing fees for helping a brah out. What if the random weirdo who promised to handle your letter never follows through, you ask? Well, Little Caesar’s doesn’t factor quality into their business model either. 3. Move its floral section to the front of the store. I am a total sucker for Whole Foods. It’s bad. If you think I get possessed when I walk into Target and inhale that first sweet breathe of salty, stale popcorn, you should see me when I enter Whole Foods. That place is more orchestrated and controlled than Disney World. Every dreadlock falls just so and each kernel of quinoa has been blessed by Incan descendants themselves (not really.) 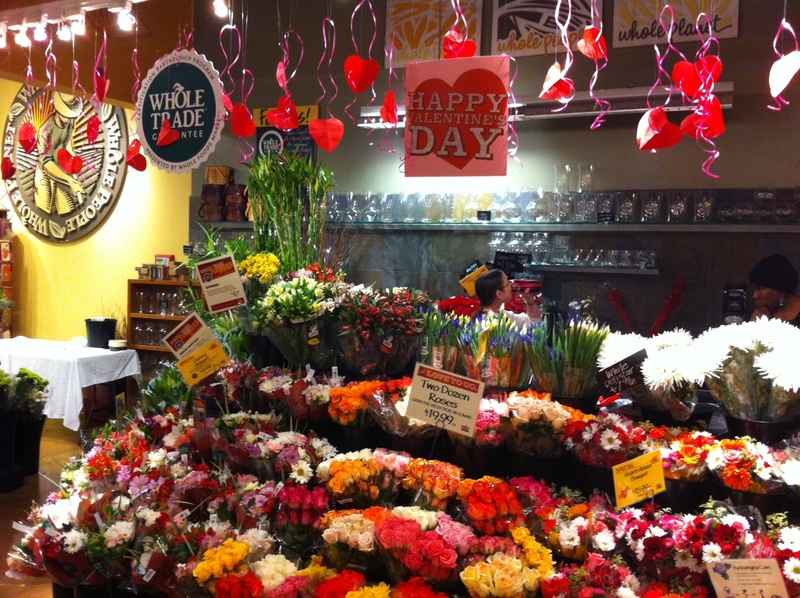 At the entrance to each and every Whole Foods, shoppers are greeted with bountiful, beautiful flowers for sale. This is because during the walk they had to take from their Prius to the interior of the store, their smugness dipped to low levels and had to be rejuvenated ASAP. The FDA said so. The Postal Service really, really needs to move their flowers to the front of their facilities. This is so obvious, I can’t believe no one has pointed it out before. What’s that? The Postal Service doesn’t sell flowers? Well there’s their problem. 4. Sue other delivery companies for picking up parcels they lost. I have a dream. I dream of a world where Monsanto does not have the corner market on evil. I dream that much like Monsanto – which litigates against adjacent farms for seeds that scatter naturally from their own fields – the Postal Service will grow horns of its own and start suing FedEx and UPS for picking up their slack. 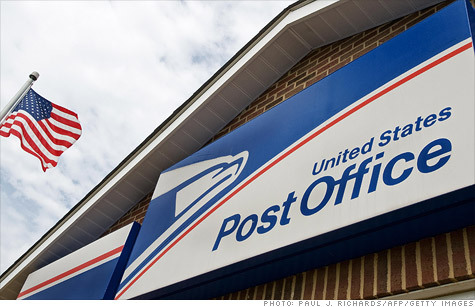 There is nothing more American than a good ol’ petty lawsuit, so the USPS needs to get with the program and start some. They are on the right track for suing Lance Armstrong, but I challenge them to get more brazen and heartless in their practice. It’s the ‘Merican way. 5. Patent the concept of delivery. The USPS needs to take a little more pride in itself and start claiming that it invented the practice of moving parcels around. It needs to slap a patent on the concept of delivery. No one has ever said that Apple doesn’t have high self-esteem, and this is because it has actually taken patents out on the concept of page-turning. I mean, come on. GET THIS GUY ON YOUR TEAM. He could sell ice to Eskimos. 7. Have monthly specials. This is so obvious I can barely stand it. USPS, I am throwing you a slowball with this tip. The deli chain Subway thrives on its Five Dollar Footlong promotion. Basically, every month they promote a sandwich and give it to you for five dollars, whether it’s actually worth that or not. The Postal Service should have monthly specials where they give deep discounts on certain services. Stamps are marked down in December, getting more people to send Christmas cards. Media Mail containing books is put on special during October for National Book Month. Parcels containing, um, illicit substances are put on special for April, no questions asked. 8. Spontaneous Yelling When was the last time you said to yourself, “Wow, I can’t wait to go to the Post Office to go file my passport papers!”? You’ve never said it. No one has ever said it. Moe’s Southwestern Grill had the same problem. Why would you want to go to Moe’s when Chipotle is right across the street? So Moe’s came up with the genius idea to have their burrito artisans yell spontaneously whenever customers walked in the door. All of a sudden, Moe’s had some provenance. Now, they’re known for their spastic screaming. Postal employees should do the same thing when their facilities get overcrowded. There is something about leading a crowd in The Wave to lighten spirits. I am picturing some real Cowboy Ugly action, minus Leanne Rimes. Because ewww. I intended these tips for the Postal Service, but the DMV is welcome to them, too. You are right. The P.O. certainly could do with a better PR firm. Maybe a new PR campaign with a catchy tune, with monthly specials, a spokesperson like JN, a giveaway ( wait, they have no money–maybe not). Anyway, they need a shot of something to get them a better position in the public’s eye. We need them but we also HATE going to the P.O. The lines are long and the employees are often surly. Maybe employee training in manners? Something has to happen. What is it with the lines? Almost every time I go, there are at least four desks where customers could be seen, but there are maybe two employees there working them. It’s crazy. Yes!! This is what needs happen! I don’t see any postal service commercials. They need a good character like Mayhem in the Allstate commercials. Maybe like… Marty the Mail? Okay, no. Maybe not. Get Michael J. Fox to reprise his role as Marty McFly – except this time it’s Marty McMail – and I think you’re onto something. Thanks! My aunt works for the Postal Service so maybe I have an in there ;D Also, I think Louis Armstrong would make a great USPS spokesperson. I am thinking some ads where people are shown actually writing letters to their loved ones (I know, what a novel idea) and receiving packages from smiling mail carriers. all while being serenaded by Louis. This is too easy…..
HEE HEE! That was AWESOME. OMG I LOVE that video! Every time my hubs and I go there we sing it to each other! True love there. Have you heard Yoga Girl and Please Put Your Phone Down? I’m going to write a post about DJ soon – He’s like a singing Owen Wilson. I still love him too, but I completely agree. Poor weirdo. He was SO CUTE at the beginning of his adult career. I hit MJ and rode the happy train all the way through this piece. Funny, funny… and yet so crazy it just might work. Well done. I’m steadily recovering from the shock to my system. Oh my. I have only one week left as a 17-year part time rural carrier, so this hits home. I have stories, so many stories. Mostly about dogs. So, so many homicidal dogs. Spastic screaming, you say? You’re a genius. I think I’ll lead the workers tomorrow in a round of that as therapy. We are a seriously repressed and frustrated group of hard-working citizens. Thanks for your creative suggestions–I’ll pass them on before I scream my way out of that vortex. If the USPS doesn’t hire you as a PR person after this, then it’s their loss. Love the idea of a catchy ad and monthly specials. Then again, I can’t remember the last mail I received that wasn’t either a bill or a wasteful piece of paper junk. Sadly, the latter seems endless. These days, I kind of like junk mail because it gives C something to hold while we walk back from our mailbox each day. But yeah, other than that, it is such a waste. I almost want to get a parrot just so I can line its cage with it. Bahahahahaha… Leann Rimes completely ruined the end of that movie. Eww is right. Trader Joes gets me with their flowers. THEN I need to get the free sample of organic free trade coffee at the back, so I end up browsing for an undetermined amount of time. I’ll be sad when there is no more snail mail. Not that I get anything other than bills anyway…and coupons. I know, right? She is so random and bizarre when she comes out at the end of the movie and starts dancing up on the bar. John Goodman is almost more expected than her. This completely cracked me up! Maybe they could offer free frozen food samples? Brilliant! So many people waste their lunch hours stuck in line there that they ought to get something. I can’t believe how many you came up with! Haha And they’re all hilarious! Thanks! I have to give B a LOT of credit on this one. We brainstormed it last weekend and I drew the long straw and got to use it as blog fodder. These are my favorite type of posts–list posts. I like writing them, and I like reading them. I feel like you must have put a lot of thought into this piece and I love it. Imma tweet it to FP and see what they do! Thank you! I am getting the FP shakes and would love another taste of that stuff ;D What is the Canada Post like? In Korea, the post office was so strange to me because in Korea, everywhere you go employees have dumb uniforms (girls who sell makeup have uniforms, bankers have uniforms, teachers often have uniforms, etc.) yet at the post office, the one place where you expect employees to look kind of official, they could wear whatever they wanted. One time a guy wearing flip-flops and a cowboy hat took my boxes. So rando. Can you please add to your well researched marketing plan that they resume delivery of my copy of The New Yorker from Tuesday or Wednesday back to Monday? I will let them know as soon as I get an appointment with them, which should be pretty soon by my guestimation. Funny post, Em! They really should listen and read your post. You have some brilliant tips. I feel sad about the Postal Service, too. And those flowers at Whole Foods. I must say take them for granted when I walk into a Whole Foods. It really sets the whole mood for the shopping experience. Another great tip! I’d hate to see the USPS disappear. I still really trust it. I like it, too. There is something stable and oddly charming about it. I really hope it sticks around and can get itself figured out. They sure do need to do something! Personally, I really do feel bad about the slow decline of the USPS. Of course some of this has to do with my mid life crisis and the fact that no one writes letters anymore (as in pen+paper+envelope+stamps and mailbox)— something that just irks me no end. PR, they need PR!! You should apply Emily. What a great idea! Hate to put my address out there, but great idea! I love the Postal Service. I’m friendly with the guys at the office near my work now, and we can banter about how crazy the public is, aha. Also, I love how you included Monsanto in this. Monsanto is crazy, but they speak volumes about how crazy wins in this world. Monsanto is truly, truly disturbing. They symbolize to me everything wrong with the way we get food into our mouths in this country. I think you just got that image of the Little Caesars guy in your head. He has that giggle effect on people. I want to invite her over for some coffee and booze. In that order. I always get her confused with that actress who went on Ellen and freaked out over sloths. lol I have no idea who you’re talking about. Funny I should see this post on the day that I FINALLY GOT THAT DARN PACKAGE IN THE MAIL. It was try number four to get a parcel mailed to a friend in England (and I mail her stuff fairly regularly, so one would think I know the ropes of international posting). Well, I know the ropes, but the PO keeps changing said ropes. The cheap hot’n’ready idea is awesome, as is Jack Nicholson. Jack Nicholson could definitely help DMV, too. Thanks, Grace! Jack Nicholson is the best ever. He could single-handedly fix the mess that is the postal service. I know it isn’t lucrative, but I always thought the USPS should have their own form of email. It wouldn’t generate money, but it would have a positive association with customers. I have thought the same thing! In all seriousness, I really think that in the future the USPS would do well to sort of remarket itself as some kind of ISP or Google alternative. I have no idea what that would look like, but it just seems kind of logical for it to rehash itself for the Digital Age. I’m a latecomer to this party but man… hilarious! I hope someone from the mighty (or not so much ) USPS actually sees this. Well done!